Australia's Ben Simmons comes up huge for the Sixers after a dismal performance in the series opener. With the same 76ers fans Simmons put on blast for booing in the playoff opener now going wild in Game Two, Simmons cupped a hand to his right ear just like Allen Iverson's signature move to spur the cheers even louder. 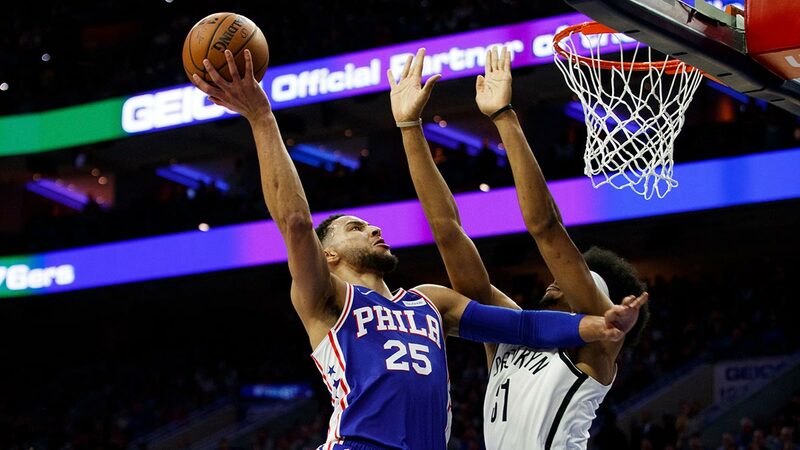 Simmons had 18 points, 12 assists and 10 rebounds and the Philadelphia 76ers had an answer for the pesky Brooklyn Nets in a 145-123 win to even their Eastern Conference playoff series Monday night (Tuesday, Manila time). Simmons had a disastrous Game One, on the court (nine points) and from a PR perspective after he criticized fans for booing during a game the Sixers were never really in. He backtracked the next day at practice and never gave another 20,591 fans a chance to do anything but roar in approval in Game Two. Simmons flashed the All-Star form that helped lead the Sixers to 51 wins, and was aggressive from tipoff. He used his size and speed to attack the lane and scored 16 points in the half — and then put the game away in the third. The Nets collapsed in the second half, outplayed and overmatched much as expected by pundits and bookmakers (they were 7.5-point Game Two underdogs). The series shifts to Barclays Center for Game Three on Thursday night and Game Four on Saturday.